Bloody Mary Recipe with a Spicy Kick! 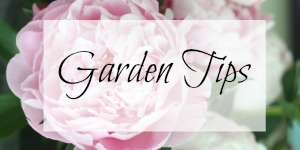 Bloody Mary Recipe with a Kick and a Giveaway! What’s better than having friends over around the holidays? Growing up, parties were the norm in my neighborhood and nobody needed an excuse to throw one. One of my favorite memories was going to neighborhood Sunday brunches. No matter who hosted, everyone would bring favorite holiday recipes to share and there would always be a big pitcher of Bloody Marys for the adults good cheer. If cooking a full dinner for company seems daunting, do what my family did and I still love to do and host a holiday brunch. and a pitcher of Bloody Marys of course! 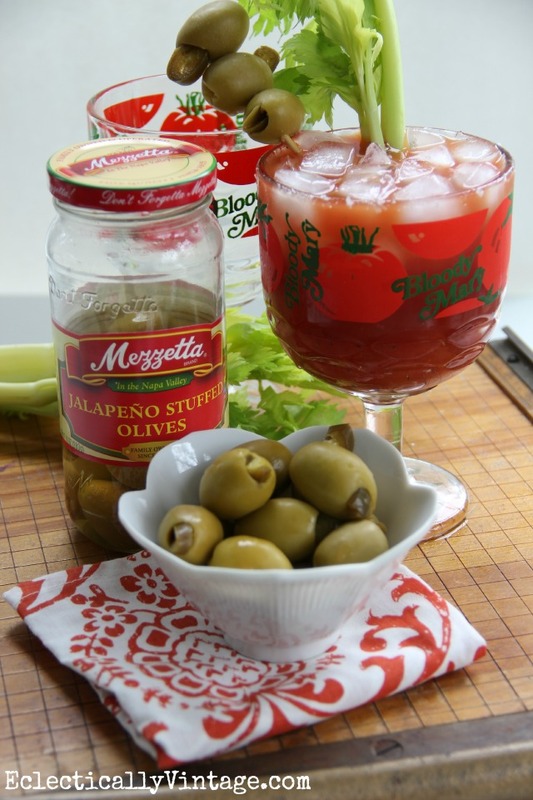 Here’s my go to Bloody Mary recipe that packs an extra spicy punch from the brine of Mezzetta Jalapeño Stuffed Olives and pleases a crowd. Thanks Mezzetta for bringing back great memories and sponsoring this post. Sounds wonderful!! I LOVE holiday brunches — so much more relaxed! Cheers, Kelly! To many, many brunches this season! 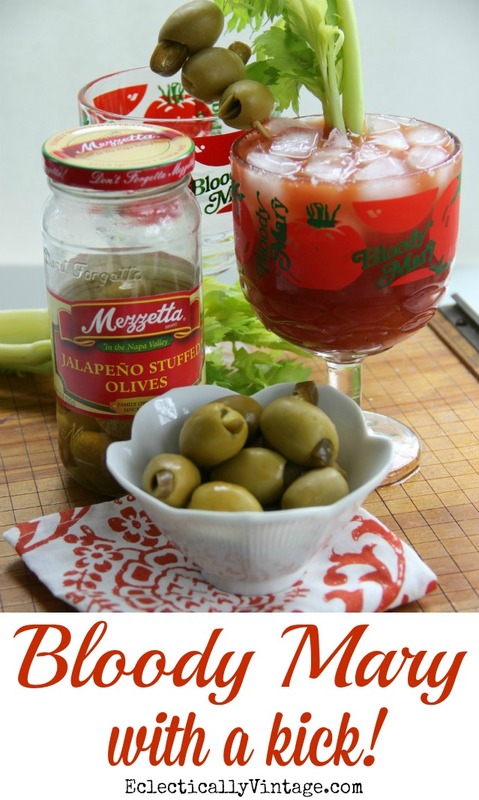 Bloody Marys are always my go to drink for brunch…well anytime for that matter!…Great recipe! Agree – it’s always time for a bloody mary! My family and I traditionally drink Bloody Mary’s on Christmas morning. I can’t wait! 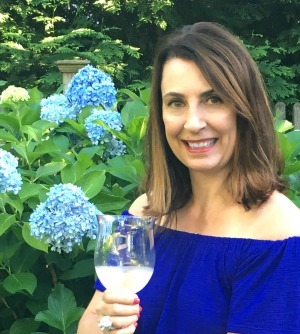 I like the way you think Michelle – cheers! That basket would be a wonderful addition to our morning! It’s been quite a year… We could use the cheers! Thank you! Ohhhhhh oh yes to bloody marys you just reminded me I haven’t had one in a while! It might be time to make myself one of them. Cheers! Yes, you need to make up for your lack of Bloody Mary drinking right away! I am always on a hunt for the BEST bloody mary. Your’s sounds amazing. I think I need to start a new family tradition with these for Christmas morning, with my breakfast casserole. Happy Holidays. Well, you have found it if I do say so myself! Hope you enjoy it! My favorite holiday memory is going out in the woods and finding the right tree to cut down for our Christmas tree. It was usually so cold and usually there was snow on the ground. This is a fond memory. What a fun memory Nancy! Thanks for sharing and enjoy your tree! Favorite memory is decorating the house with mom and dad. Sweet Heather! Make sure to enter on the link within the post! One year my dad made a doll house for my sister and me – we were so excited! This is by far my favorite memory.